Round 1 : Post a picture of Selena in bikini! Round 2: Post a picture of Selena with a kid! Round 3: Post a picture of Selena with an umbrella! Round 4: Post a picture with Selena's eyes! Round 5: Post a picture of Selena with her Bff Demetria Lovato! Round 6 : Post a picture of Selena wearing pink! 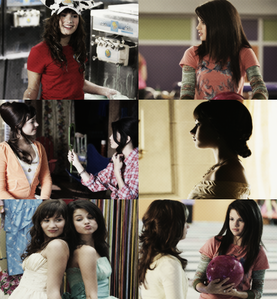 Round 7: Post a picture of Selena in her movie: Princess protection program! Round 8: Post a picture of Selena in photoshoot ! Lot's of other round coming!